With great power comes great responsibility. With great features on a smartphone (especially a mid-range one), well, we get a high price tag. The Galaxy A8 (2018) and Galaxy A8+ (2018) went official today, following a slew of leaks and rumors in recent months that unofficially told us we had plenty to be excited about for where Samsung’s mid-range lineup was headed. It’s not just the tall and immersive Infinity display that’s a highlight on the A8 and A8+. These phones also come with dual front cameras with the Live Focus feature that debuted on the Galaxy Note 8, support for the Gear VR headset, and existing A series features like IP68 certification for water resistance, full Samsung Pay support, and a premium glass-and-metal design. There’s even a performance-oriented chipset under the hood this time around. The Exynos 7885 comes with two high-performance Cortex-A73 cores in addition to six low-power cores, unlike previous chips that packed only low-power cores and weren’t great at keeping things running smoothly. The Exynos 7885 even has Bluetooth 5.0 support (meaning support for dual audio support), and at least one variant of the Galaxy A8+ will have 6GB of RAM (likely in China and a few neighboring countries). The A8 and A8+ blur the lines between mid-range and flagship phones, so it’s not surprising that these phones will also be priced higher than their predecessors. 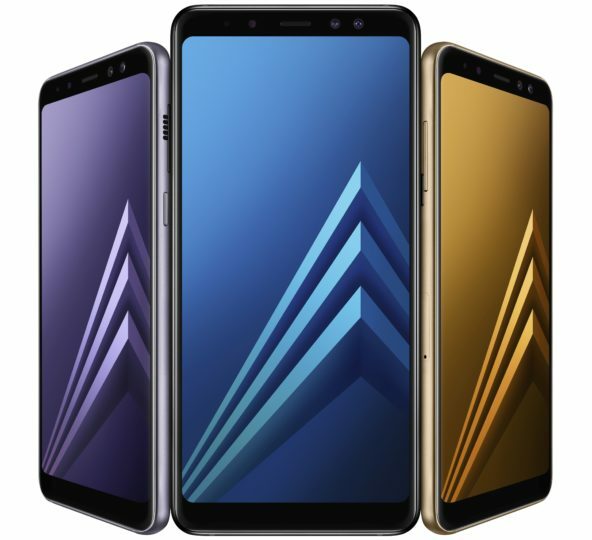 So, what are the Galaxy A8 and Galaxy A8+ prices? The Galaxy A8 will be priced at €499, while the A8+ (2018) will cost €599. These prices are for Europe, but you can expect them to carry comparable price tags in other markets. Samsung hasn’t yet told us where these phones will launch, but we expect that information to be made available as and when the company starts selling them in early January. As I see the price point I am starting to think that Samsung on the path on even more and more expensive device which expectes due to the greater disgn and hardware power…. but i guess the s9 wont be that affordable….